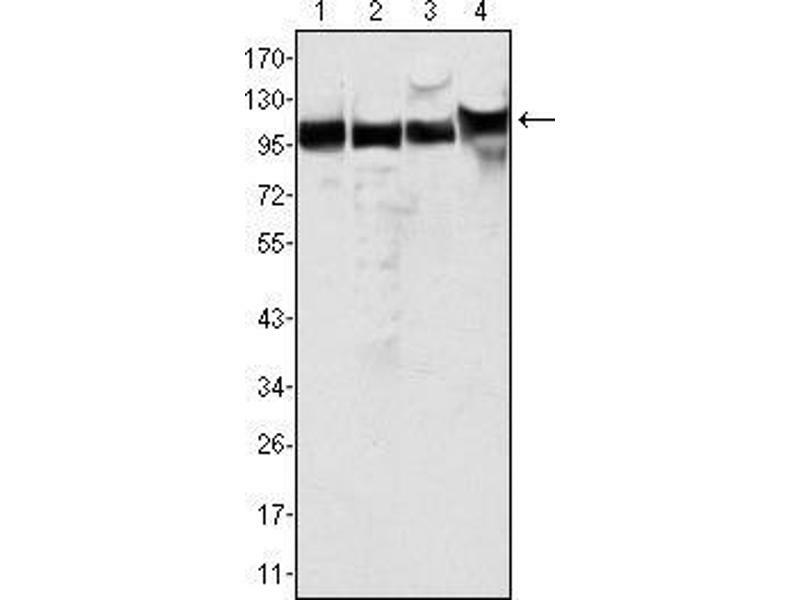 Immunogène Purified recombinant fragment of human MSH2 expressed in E. Coli. 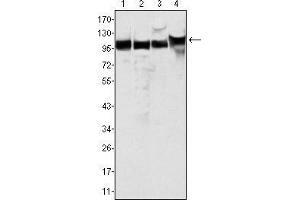 Sujet MSH2 is a 100 kDa nuclear antigen and encodes a protein of 934 amino acids. 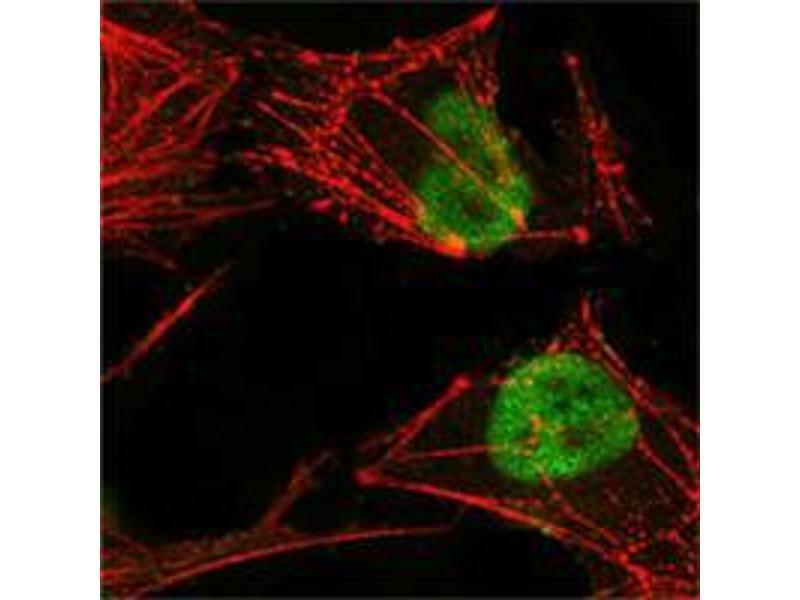 The MSH2 gene is one of 4 known genes encoding proteins involved in the repair of mismatch nucleotides following DNA replication or repair. 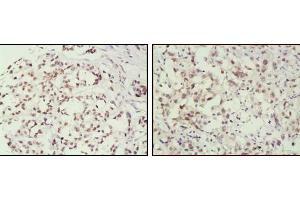 Mutations in the MSH2 gene contribute to the development of sporadic colorectal carcinoma. MSHS mutations are responsible for 50 % of inherited non-polyposis colorectal (HNPCC). The repair of mismatch DNA is essential to maintaining the integrity of genetic information over time. 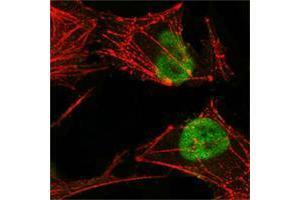 An alteration of microsatellite repeats is the result of slippage owing to strand misalignment during DNA replication and is referred to as microsatellite instability (MSI). 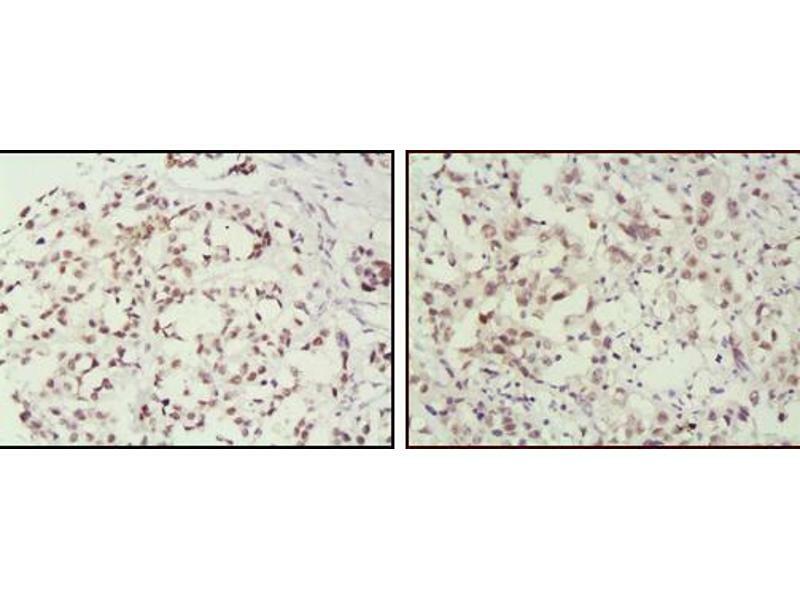 These defects in DNA repair pathways have been related to human carcinogenesis. MSH-2 is involved in the initial cognition of mismatch nucleotides during the replication mismatch repair process.